Hi, I’m Connie from Urban Bakes. When I’ve asked others why they don’t cook regularly, more often than not their answers are along the lines of ‘I want to but don’t have time’ or ‘the recipe(s) sounds/looks complicated.’ My goal is to bring to the table quick, easy-to-read recipes minus the intimidation for any beginner or veteran foodie with a busy schedule. In addition, I use baking as part of my therapy from my day job, which goes well with my sweet tooth, especially when it comes to chocolate. Ever bought a box of cereal certain you were going to love it? Thought it was the perfect breakfast for your diet only to discover it wasn’t what you imagined. Now you’re stuck with a box of cereal you don’t really enjoy and mentally struggle with the idea you may have to waste food by throwing it out; yet, if you save it, you have no idea what to do with it. Every now and then this happens to myself. It was much easier as a child eating any sugar-filled cereal, but these days while trying to be a bit more health conscious, I sometimes encounter products that weren’t what I expected. So now what do you do with unwanted cereal? How about an upgrade? After all, this is exactly what we do with Rice Krispies, transforming this cereal into delicious marshmallow treats and what about the plain ol’ Chex Mix? I often see this cereal used as a base for an assortment of ‘puppy chow’ flavors. So why not do the same to your cereal flakes? 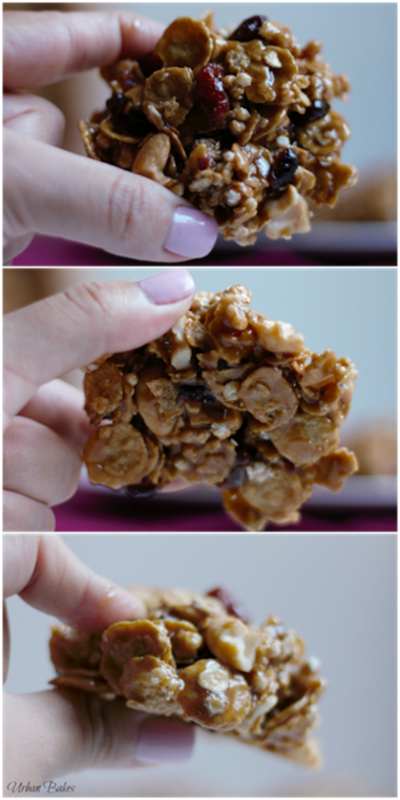 This is exactly what I did to the left over Fiber One Honey Clusters that was sitting on top of my fridge for a month. 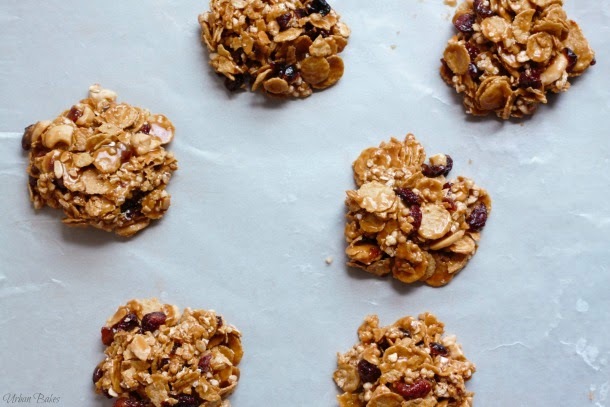 This treat is packed with a sweet and nutty flavor and a crunchy bite that will have you leave wondering how is it possible to have a cookie for breakfast or cereal as a snack. With its perfect proportion of cranberries and variety of nuts, this is one treat you may never get enough of. As an added benefit, if you opt for a brand such as Fiber One, one or two cookies will leave you feeling satiated (due to its high fiber content). Not bad huh? In general, this is one of the quickest and easiest recipes I’ve ever made. 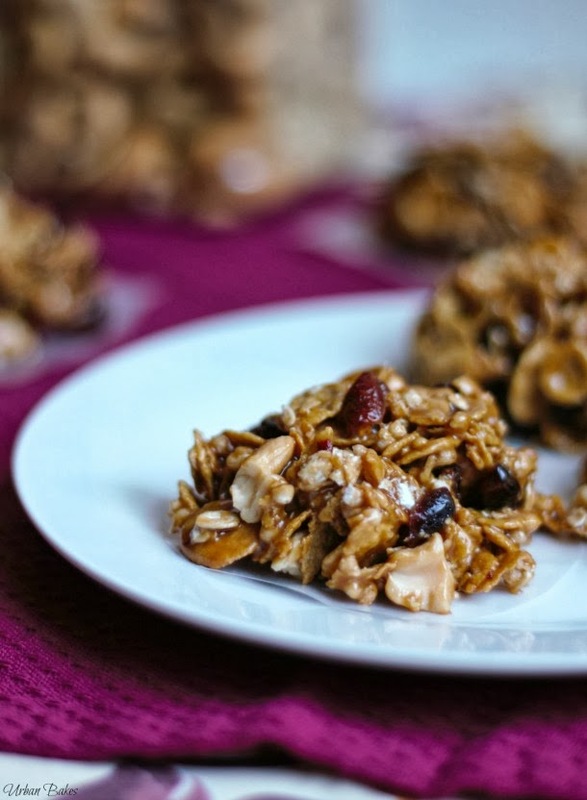 From start to finish in less than 30 minutes, and you can transform your unwanted cereal to one of the most delicious sweet and nutty cookie clusters without ever touching the oven! Not bad for this unpredictable change of weather into the turn of a new season. Call it breakfast or a snack, it’s one you can certainly make all year round. Love this idea for transforming unwanted cereal? 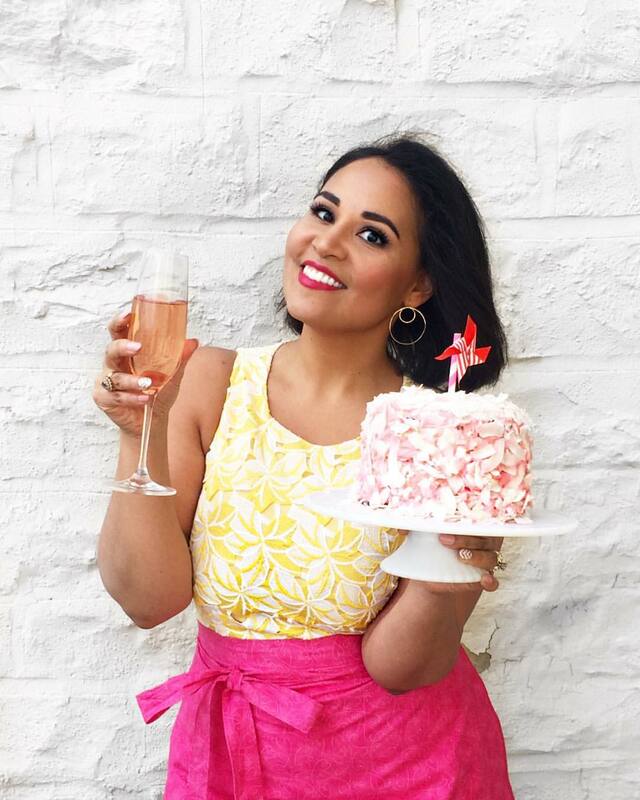 Visit Connie's blog, Urban Bakes, friend her on her Facebook page, or follow her on Twitter at @urbanbakes. In a large bowl, mix cereal, cranberries and cashews; set aside. In a medium saucepan, mix sugar, syrup and peanut butter. Bring to a boil for one minute, stirring constantly. Pour syrup over cereal mixture and mix until evenly coated. 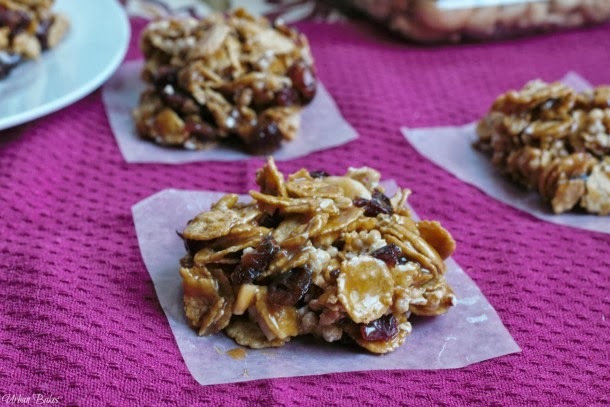 Drop 1/4 cup of mixture onto waxed paper and allow the clusters to cool completely. If you don’t have this brand or flavor at home, try using other cereals such as Corn Flakes, Total, or Grape Nuts.